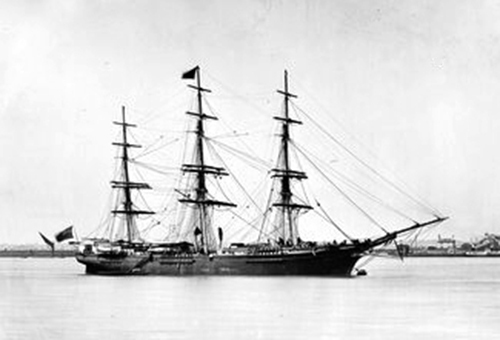 In 1867 registered in Sydney owner P. Jones. In 1872 the owner was H. Barne, but still registered at Sydney. By 1874 the owner James Smith, Adelaide In 1877 sold to Hansford Ward of Yatala, South Australia. 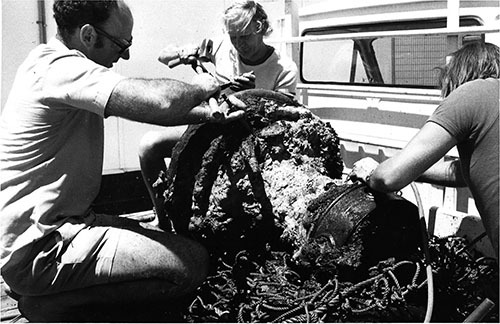 In 1976 the wreck of the hulk Day Dawn was located during dredging operations in Careening Bay at Garden Island, and thoroughly investigated by members of the Maritime Archaeological Association of Western Australia. Because it was in the way of further dredging at the naval base of HMAS Stirling, the wreck was moved to a safer position. The wreck lays within Navy Operations and a permit is required to dive. 1851 at Fairhaven, Massachusetts, USA as a whaling ship, Thomas Nye It was converted from 3-masted ship to barque rig, probably in 1864.